Is your packaging social media worthy? When it comes to choosing shipment boxes in the 21st century, the plain, go-to brown cardboard box is a thing of the past. Businesses looking to remain relevant need to step up and stand out, first by offering a quality product that meets a specific need, and then by following through with an unboxing experience worthy of a social media filming and mention. One-third of customers in a Dotcom Packaging study said packaging influences the way they see a brand. Nearly half said they get excited to receive and open a package. And in a similar Dotcom Packaging study, 55 percent of a group of consumers who watched an unboxing video had gone out and purchased that product. The TrunkClub unboxing YouTube video was viewed more than 100,000 times. Notice how the customer experience begins with the custom-printed delivery box and not the product? 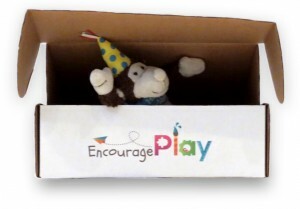 So, what are you doing to make your shipment box relevant and worthy of a social media mention? Start with custom-printed shipment boxes. Establishing your brand on a shipment box is easy. If your product is creative and fun, use bold, bright colors. If being green is the cornerstone of your business, choose earthy colors and keep it simple, and if you’re using recycled materials, say so on the box. If you’re a tech company, choose something sleek to reflect cutting-edge thinking. Satisfied customers take photos and videos of products and packaging and post them to Facebook (84 percent), Twitter (32 percent), Instagram (31 percent), YouTube (28 percent) and Pinterest (20 percent), according to a Dotcom Packaging survey. And, consumers are 1.5 times more likely to share pictures of gift-like boxes than traditional brown boxes. The Dotcom Packaging study finds consumers share photos and videos on social media. Make your shipping box worthy of a social media mention. 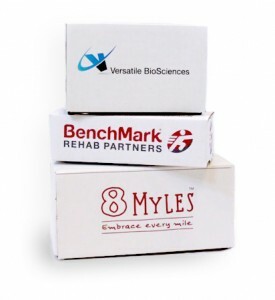 Learn more about custom-printed shipping boxes by visiting MRBOXonline or calling (800) 231-8806 or (954) 572-2500.